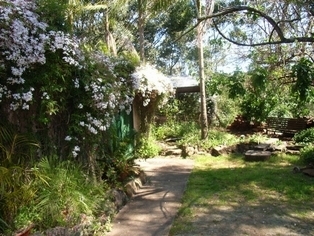 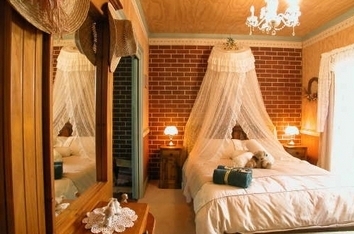 Clovelly Bed & Breakfast accommodation is a hidden treasure among the Eastern beaches suburbs of Sydney. 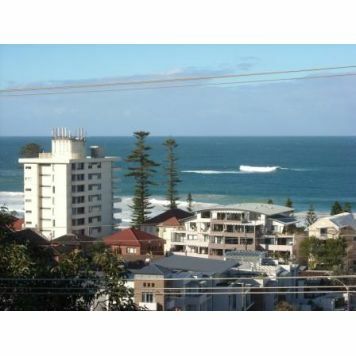 Clovelly is found between Bronte and Coogee. 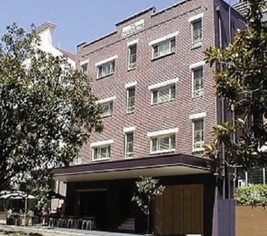 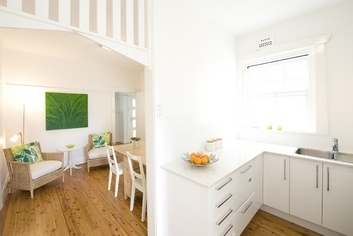 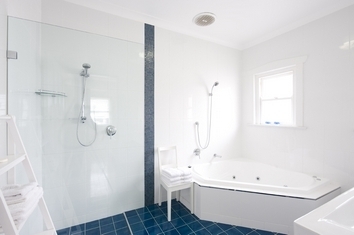 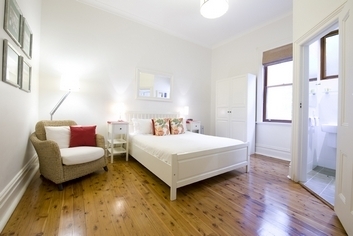 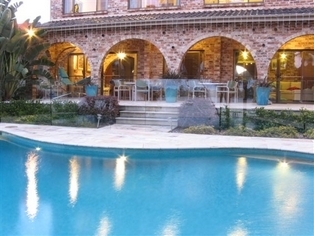 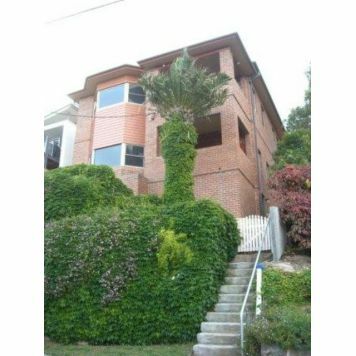 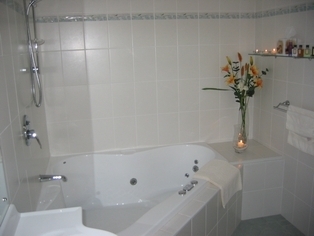 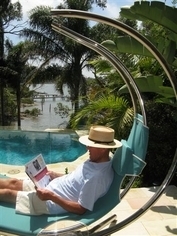 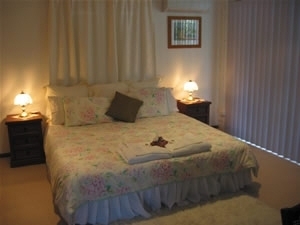 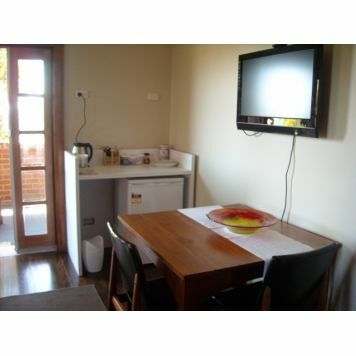 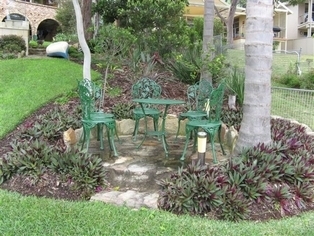 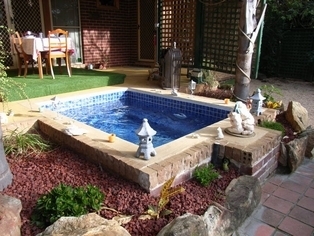 Manly Beach Bed and Breakfast offers B&B rooms, Suites and Apartments for all types of travelers. 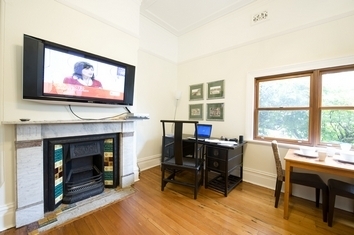 We are located five minutes from the centre of town and 10 minutes to seven of Sydney"s famous beaches, closest one being five hundred meters from the front door. 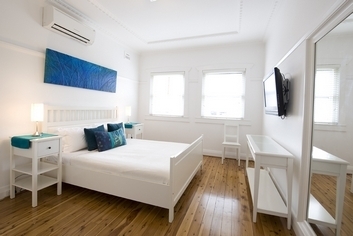 The ferry is a five minute walk and is one of the most spectacular ways to view Sydney"s glorious Harbor and discover downtown Sydney. 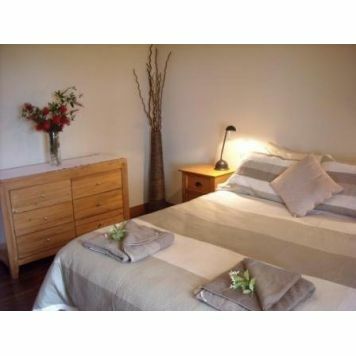 Bright cosy room, Queen sized bed, high ceilings, bedside table and reading lamps, dresser drawers with mirror and lounge chair, good quality linen provided. 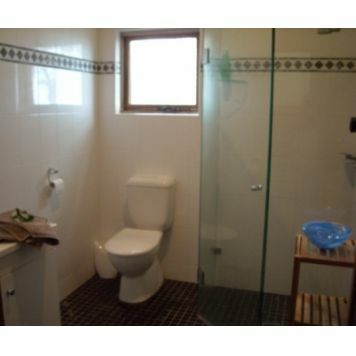 Shower, toilet, vanity and hair dryer, towels and beach towels provided. 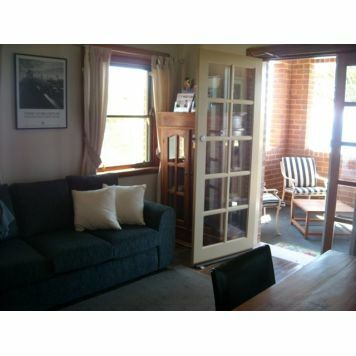 Double sofa bed / lounge, TV, dining table, chairs, fridge, tea, coffee, kettle, microwave, built in wardrobe and a selection of tourist brochures. 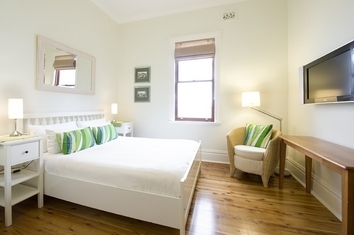 Lounge/TV area opens onto your own private balcony overlooking Manly Beach. 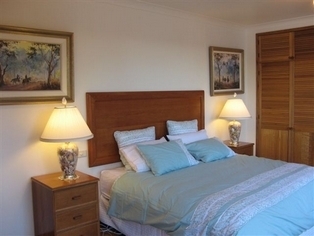 Ceiling fans in both rooms. 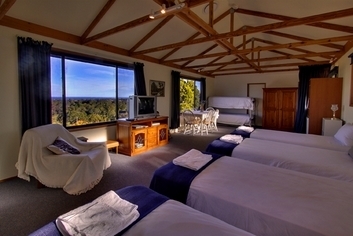 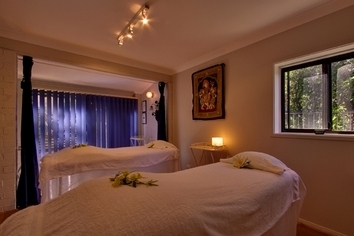 Only a one and a half hour drive from the centre of Sydney, our small but intimate retreat offers indulgence and accommodation packages. 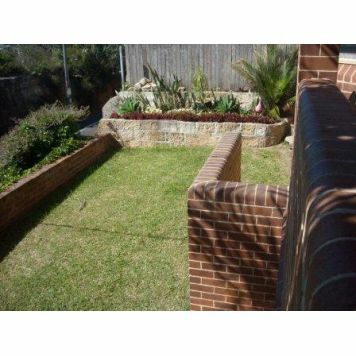 Our Waterfront B&B is located in Oyster Bay which is 30 minutes south of Sydney city by train and around 15 minutes to Cronulla Beach by car. 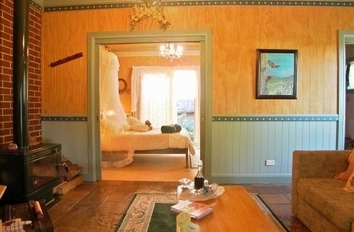 All rooms are upstairs on the first floor. 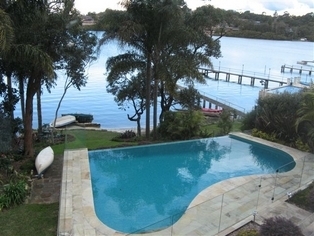 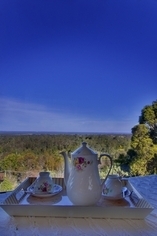 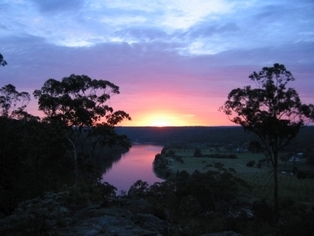 Our B&B is set in a very tranquil part of Sydney on the Georges River that enters Botany Bay. 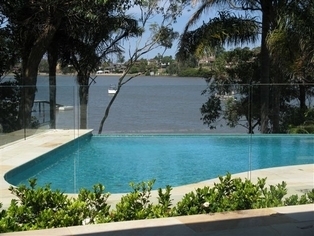 Wake up to breathtaking water views right from your room! 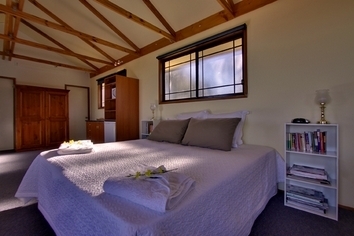 We are a home stay bed and breakfast with accommodation for guests allowing privacy and comfort with separate lounge, bathroom and tea making facilities. 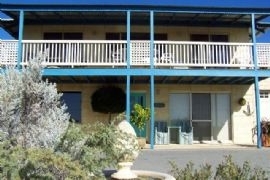 Accommodation is located on the ground floor. 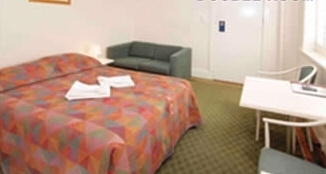 Your choice of queen or double bed and exclusive use of bathroom & WC (when 2 rooms booked together by the same group - share facilities apply) Our large guest lounge offers comfortable seating, HD/LCD/TV & DVD, library with games. 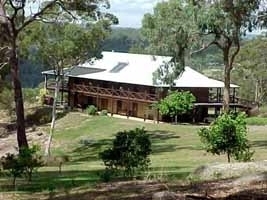 Views across the garden to the lake and hills.